Do not expect corn grain to dry much in the field at this point. In November, little in-field dry-down of grain, if any, can be expected with cold air temperatures. It is not recommended to delay harvest in the hopes of corn drying significantly, especially where stalk quality is a concern. Natural Air (NA) drying is not efficient when air temperatures are lower than about 40°F. When air temperatures drop to around 40°F, corn should be cooled below 40°F with aeration, and to 20 to 30°F when possible. The NA drying time for corn at an initial moisture content of 21%, for example, exceeds two months at air temperatures of 30 to 40°F. Corn should be dried to 13 to 14% for long-term storage. Corn can either be dried in a high-temperature dryer to a safe long-term storage moisture, or cooled down and dried next spring. Corn grain at a moisture content up to 20% can be cooled to 20 to 30°F with aeration, held over winter, and then dried when outdoor temperatures average 40°F or warmer by using NA drying with an airflow rate of at least 1 cubic feet per minute (cfm)/bushel. 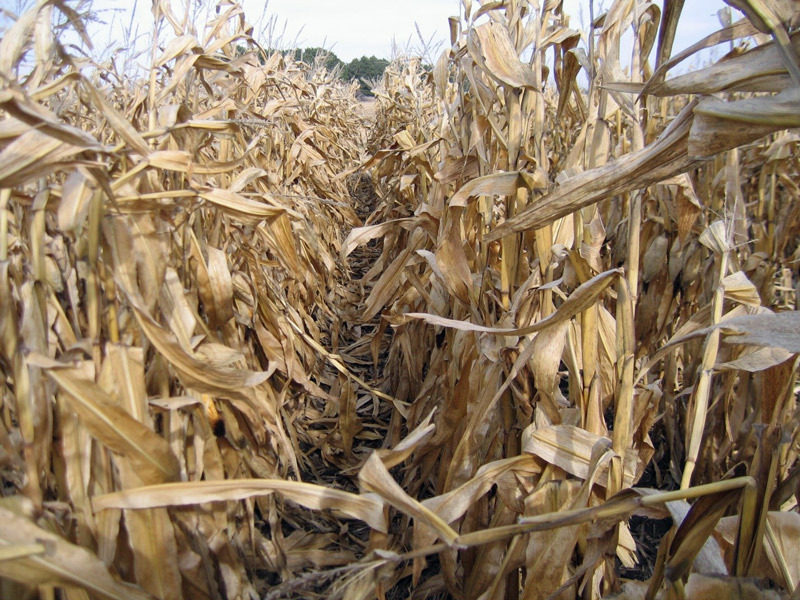 If corn is wetter than 20%, refer to information from Dr. Hellevang on drying high-moisture corn for more details: https://z.umn.edu/dryinghmcorn. The wetter the corn, the shorter the time this grain can safely be stored. The wetter the corn, the more quickly it deteriorates. At a temperature of 40°F, corn grain at a moisture content of 13% has a maximum allowable storage time of around 150 months, while at 18% this drops to 6.1 months (see the University of Minnesota fact sheet, Grain Storage Tips). For corn at 28%, this drops to 30 days. Grain temperature is a major factor in determining the approximate allowable safe storage time (AST) for corn. For example, at 30°F, corn at 20% moisture can be safely stored for over 300 days. At 40°F, this time drops to 90 days and at 50°F, this time drops to only 50 days. A key reason is because of the impact of temperature on insect activity: Insect reproduction is reduced below 70°F, insects are dormant about 50°F, and insects are killed if grain is below 30°F for a few weeks. Cool temperatures also hinder mold development. The AST for grain is cumulative. If half of the AST for harvested grain is used before grain is dried and cooled, only about half of the AST will be left for the grain after it has been dried. For example, corn stored at 20% moisture and 50°F has an AST of about 50 days. Drying the grain to 15% moisture after 25 days and cooling it for winter storage will use half of the AST. When temperatures warm to 70°F next summer, the AST for this grain at 15% moisture and 70°F would now be about 60 days instead of the 125 days shown on an AST chart. Moisture meter accuracy decreases when air temperatures are below 40°F. When temperatures are below 40°F, place a grain sample in a sealed container, wait 6 to 12 hours while letting the sample warm to 70°F, then recheck the moisture. For more details on handling wet corn later in the season, check out Dr. Hellevang’s presentation High Moisture Corn Drying and Storage. 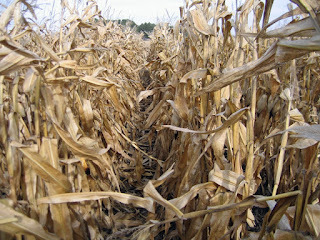 More information on grain drying and storage is available on the University of Minnesota Extension Corn Harvest website. You might also be interested in the North Dakota State University Grain Drying and Storage website.